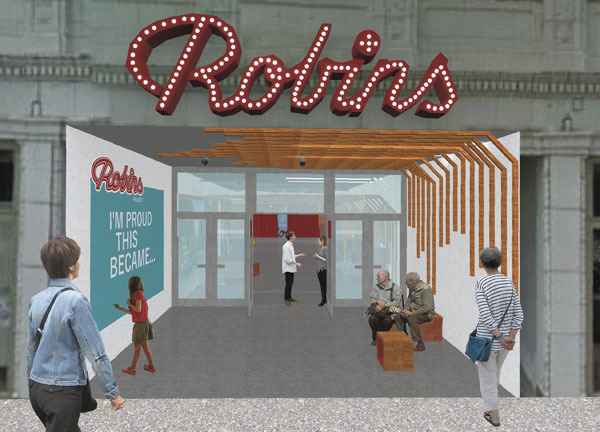 These proposals are now on display at Warren’s Trumbull Art Gallery in the exhibit titled “The Integral City: Reimagining Warren.” The exhibit displays proposals for revitalizing the Robins Theatre, as well as landscape plans and a logo book for the city. Although some citizens of Warren were initially taken aback by some of the seemingly grandiose ideas of the students, there has overall been a warm reception of student-led ideas. Check out the full article here and learn about the various reactions from the community. Original Parsons article here. Categories: BFA IDP and Student News.